Gold Face aims high with this latest single, bringing together a surprisingly retro soundscape and beat with some laid back, easy going vocals that help keep things grounded as the track gathers momentum. What initially starts off as a fairly chilled out bit of hip hop soon evolves to become way more of a dance floor smash. The artist’s leading voice meanders through the various sections in a flawless way, moving from that initial mellow aura to something impressively quick and still skillfully in tune with the natural movement of the music. As an introduction to his work, Up All Night makes for a strong starting point. There’s a certain tone and overall quality to the voice and indeed the manner in which the lyrics are delivered – everything feels fresh and loaded with just enough personality to make it easily recognisable. There’s never an intensity to the performance, merely an appreciation for the good times, which reflects and reinforces the song’s underlying sentiment and the whole late-night party vibe in general. Production-wise the multi-layered synths and moments that make up this release are actually quite refreshing. That EDM approach is rare in hip hop, so the finished product feels more like an alternative pop track than anything genre-limited. Alongside of this is that leading voice, offering a calming contrast and reminding you of the character and creative at the forefront of the whole thing. It’s a subtle but effective ear-worm of a track, with the sort of rhythm that’s easy to connect with – regardless of your musical preferences. Even the chord progression has something fairly memorable about it. 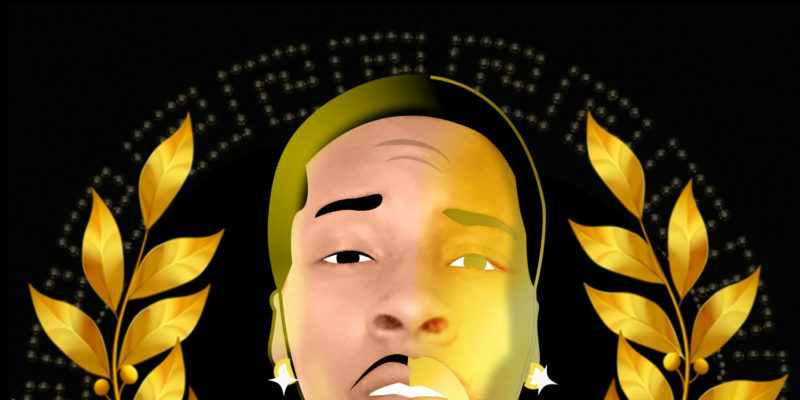 Gold Face does well to go his own way and let the beat and the lyricism pour through in a natural fashion. A bold new single in itself – it will be interesting to see where else the music takes him. Find & follow Gold Face on Instagram.